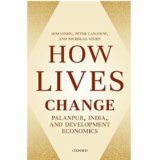 The dominant narrative of urbanization in India, and also globally, has been metro-centric and overdetermined by perspectives grounded in economics. In the Census of 2011, close to 2800 new settlements were categorized as “urban”, of which more than 2500 were classified as “Census Towns”. Census Towns (CT) are defined as settlements that have a population of at least 5000, density of 400 or more per sq. km. and where 75 per cent or more of the male workforce is employed in non-agricultural activities. The category of CTs represents the lowest size-rank of urban settlements in India. However, CTs remain under the administration of rural local governing bodies (Gram Panchayats) for indefinite periods of time, until the respective state governments act to endow them with Statutory Town (ST) status through a legislative intervention. With this unforeseen and unprecedented proliferation of CTs as per the census data, the academic gaze has shifted somewhat from large metropolitan areas to smaller urban centres. One of the key steps in this direction has been taken by the Subaltern Urbanization (SUBURBIN) project, which seeks to study the processes of urbanization that are taking place independently and away from big cities. Taking this as a point of entry into the discussion on the nature of urbanizations taking place in India, my presentation will draw from my fieldwork in Garbeta CT in West Medinipur, West Bengal. Based on oral histories of place, life story interviews, business histories and participatory mapping exercises, I will attempt to describe what ‘Garbeta town’ means to its current residents. I will focus on questions of land, identity and informality, and how aspects of change and continuity in socio-political relations have given shape to the present morphology of the town. In doing this, I make a conscious effort to revisit economic processes established in the mainstream literature as “urban”, and deconstruct them from a social justice standpoint. The work being presented is part of my doctoral project, which has an overall aim of diversifying and democratizing the narratives of urbanization and urbanism. The fieldwork for this project has been supported by the Swedish Society for Anthropology and Geography and the Margit Althin Foundation of the Royal Academy of Sciences, Sweden.